This is a great colorant in soaps and has superior oil absorbing properties in masks, soaps, and bath bombs/soaks. 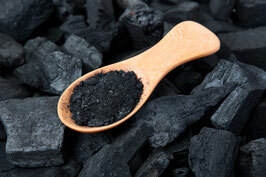 Care should be taken when handling to avoid inhalation of the fine charcoal dust. Can stain lighter colored washcloths. Allantoin is a natural, active ingredient derived from roots & leaves of the comfrey plant. Its white crystalline powder is odorless. The powder is water soluble. It is used as a skin protectant. It also can soothe dry skin. Usage rate: add to water phase of formulas with a usual concentration 0.2 - 2%. When adding Allantoin into an emulsion, the emulsion is made first and then Allantoin is added during the cool down when the product is below 90°F. Mix thoroughly. Allantoin can be used in lotions, creams, protective creams, sun care products, shampoos, scalp rinses, shower gels, lip & baby care products. Thank you Randhi Mays for helping with the above information! Aloe Vera Juice suspended in a clear gel. INCI: Water, Aloe Barbadensis Leaf Juice, Glycerin, Carbomer, Triethanolamine, Iodopropynyl Butylcarbamate, Diazolidinyl Urea, Disodium EDTA. This product works as a great serum base when additives are researched properly. It is also a great choice in after-sun, skincare products. This is the soothing liquid form the inner Aloe leaf. It has a soothing, moisturizing quality and great in toners, cleansers, shampoos, lotions and for wetting dry face masks..
Aloe Juice is renowned for its use in products that moisturize and soothe dry, angry skin. Soaper's Supplies encourages users of all botanical additives to research your formula, ingredients and do proper testing prior to selling or giving away finished products. Refridgerate upon arrival. It will be good in the refrigerator for several months. This is the answer to face masks. The powdered aloe leaf has all the moisturizing and soothing properties when added to your creations. It possesses great benefits when added to assorted skincare products. This is the perfect additive to natural body butters that seem too greasy. It is also the perfect substitution for talc alone, or when combined with corn starch, when formulating body powder. An anti-oxidant, Vitamin C is used often in anti-aging products and formulations that promote healthy, younger looking skin. Ingredients: buttermilk solids, whey solids. Add this luxurious ingredient to part of your water component in your lotions. Also is delightful in soap, face masks and hair products. Reconstitution Rate:1 cup of water to 1/4 cup buttermilk powder. Usage Rate is 1% - 3% in lotions, creams, soaps, lotion bars, etc. Caffeine Powder is thought to give a smooth, firm & toned appearance to skin when used topically. Here's a couple of great articles worth reading! Caution: Do not ingest. Wear protective mask & gloves when handling the concentrated caffeine powder. It can be easily inhaled and absorbed through skin, possibly causing heart palpitations, increased blood pressure, cardiac arrest or death. You are responsible for the safe handling and usage of this product. Please educate yourself completely on the usage of caffeine powder or any additive before using it in your products. This is a skin softening, fatty alcohol that adds a silky feel to lotions, balms and scrubs as well as acting as a thickening aide in water-containing lotions and creams. 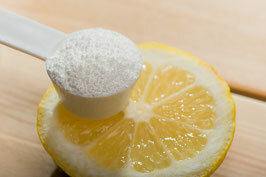 A bubbling/lathering cleanser used in multiple products from bath bombs to shampoos. Use 3 Tbsp per average Bath Bomb recipe. Adjust as needed. A lightweight synthetic oil renowned for its great benefits in hair products, lotions, and perfumes. It adds slip and glide to the products in which it is included and also aides in the absorption of oils to hair and skin. Check the Soaper's Supplies Blog for a great recipe for a sleek, silky hair serum, made using Cyclomethicone and any quality hair oil of your choosing. We recommend Meadowfoam seed oil, (or) Oat Kernel oil, (or) Camellia oil, (or) Amla oil, (or) Jojoba oil... OR any combination of these great, nourishing oils. This is a synthetic oil that gives superior slip, glide, and a protective quality to any product to which it is included. It adds a sophisticated touch and luxurious feel to lotions, conditioners, serums and lip gloss. Medium viscosity of 350 centistokes. Natural, food grade, anionic surfactant derived from the sodium salt of fatty acids and sarcosine amino acids. EasyFoam is one of the oldest running cleansing agents and has been used in dental hygiene since the original production of toothpaste. Unlike many others on the market, EasyFoam (Sodium Lauroyl Sarcosinate) is pure and a min. 95% active. EasyFoam (Sodium Lauroyl Sarcosinate) is a natural, food grade, anionic surfactant derived from the sodium salt of fatty acids and sarcosine amino acids. EasyFoam is one of the oldest running cleansing agents and has been used in dental hygiene since the original production of toothpaste. Unlike many others on the market, the EasyFoam (Sodium Lauroyl Sarcosinate) is pure and a min. 95% active. * EasyFoam is hygroscopic and contains no anti-caking or flow agents. Exposure to moisture may change physical characteristics which does not impact performance. If your application requires the powder to be smaller or smoother then it can be mixed with a dispersion blade or even a stick blender to break it up more smoothly. 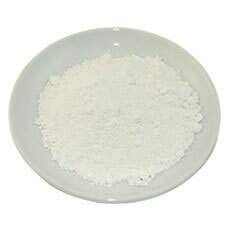 Water Soluble humectant used in toners, lotions, creams, shampoos and conditioners. Will pull water from the air throughout the day to aide in the addition of moisture to skin and hair/scalp. Powerful humectant that can hold 1000X its weight in water. Hyaluronic Acid is renowned in anti-aging products like face creams and serums, but is also great in toners, hair conditioners and many popular beauty products. Follow recommended usage suggestions. Do not exceed 1% in face products. Soaper's Supplies recommends formulators research this ingredient and follow all usage guidelines, including pH testing. INCI: Lactic Acid 88% Active Lactic Acid, is the L+ version, which is the natural form of this multifunctional cosmetic ingredient, produced through the fermentation of corn. Lactic acid is one of the most popular alpha hydroxy acids (AHAs) in skin care today. It is often marketed for its ability to reduce the appearance of wrinkles and other signs of aging. Clear liquid. Characteristic fermentation odor. Completely water soluble. APPLICATIONS Gentle pH control, Skin / body care rejuvenation, gentle exfoliation, skin smoothing softening. It's important to note that the pH of the final formulation is just as important as the concentration level. At home products should be formulated within the usage range of 0.2 to 10%, with a pH between 4.0 and 4.5. Please be aware that when you use Alpha Hydroxy Acid's on the skin you are exposing new skin, which is much more susceptible to UV damage. Always follow with an adequate sunscreen. Per FDA guidelines, "FDA Topically Applied Cosmetics Containing Alpha Hydroxy Acid's Labeling Requirements", all products should include the AHA warning, below, and suggestion to include or follow with a sunscreen. You can copy and paste the text into your web browser or go to the FDA website and read the entire document, which is highly recommended. * Sunburn Alert: This product contains an alpha hydroxy acid (AHA) that may increase your skin's sensitivity to the sun and particularly the possibility of sunburn. Use a sunscreen, wear protective clothing, and limit sun exposure while using this product and for a week afterwards CAUTION :: As with all of the acids, it is important to let your skin acclimate to their use. For those who's skin is not used to the acids a slight stinging and redness may result. If this occurs, reduce usage to every other day for 2 weeks, before resuming daily application. If irritation persists, discontinue use. If you experience anything more than a slight stinging, or redness, discontinue use immediately. Any time that you experience discomfort, you can apply a 10% solution of sodium bicarbonate (baking soda) to neutralize the acid, then wash with soap and water to thoroughly remove any acid residue. If irritation develops, or persists, seek medical advise. if you add an antioxidant, use vitamin e at 0.5% in the cool down phase. If you are prone to oily skin, allantoin is recommended at 0.5% as an occlusive ingredient. Want full, supple lips? This is the all natural lip plumper!! Vegan! One of the most consistent trends in cosmetics as of late is the desire for full, supple looking lips, as is evident by the women viewed as today’s modern day beauty icons. Yet, it has been difficult for formulators to merge this trend with the growing organics movement in both cosmetic and personal care industries, until now. Organic Dehydrasome Plump can be used in certified organic make up formulations to plump the lips. It also contains yeast extract that provides both nutritive and conditioning benefits. Yeast extract is understood to be an excellent source of polysaccharides, amino acids, proteins, B vitamins and minerals. Organic Dehydrasome Plump utilizes dehydrated organic phospholipids that are dispersed in a biomimetic certified organic sunflower oil as its primary plumping mechanism. When Organic Dehydrasome Plump is applied to the skin, the hydrophilic portions of the phospholipids naturally migrate to the hydrophilic environments where they interdigitate with the basket weave structure on the surface of our lips and assemble into a multi‐vesicular system. After coming in contact with the moisture in our lips, water causes the vesicles to swell thus eliciting a plumping effect. Since the organic phospholipids bind with moisture they may also be used to prevent trans‐epidermal water loss (TEWL) thus allowing the lips remain hydrated while achieving a firm and supple aesthetic. The Phytomulse™ Product Line is a blend of non-ionic surfactants intended to simplify and differentiate emulsionformulation. Phytomulse™ is especially useful in stabilizing emulsion formulations that have a high oil phase. Formulas that contain 30% oil or more are very problematic to stabilize in an O/W emulsions. The Phytomulse™ Product Line is able to efficiently and effectively stabilize this phase due to the combination of key surfactants and the formation of unique liquid crystals. Any Phytomulse™ product should be added to the oily phase of an emulsion and heated to <80C. These emulsifying systems are compatible with most gums and polymers, which may be used to adjust the texture of the formula itself. The Phytomulse™ Product Line is a complete emulsifying system that provides an opportunity for customization and consistency within your line of products. The Phytomulse™ emulsifying system is compatible with a wide range of emollients including: natural oils, silicones, esters, and hydrocarbons. Furthermore, in formulations the Phytomulse™ line creates an aesthetically pleasant, full-bodied texture, satiny-smooth rub in, and sinuous end feel. Emulsions can be formulated over a wide range of viscosities which have rheologies from flowing fluids to thick, viscous creams. The Phytomuse™ Product Line can be used with polymeric, thickening agents, natural gums and other viscosity modifiers and stabilizers. When an emulsion incorporates the Phytomulse™ Product Line it produces an immediate improvement in the sensorial aesthetics of a product and increases spreadability from initial contact through complete absorption. The response is an elegant, soft sensation that persists for hours after applying the product. These emulsions are also very fine in texture, amplifying their ability to provide a luxurious, shiny appearance on the skin. Potassium Sorbate, is most effective in the low (acidic) pH range. Ideal conditions for maximum effectiveness are reached when formulated with a pH between 3.5 and 6, the lower the pH the higher the effectiveness. Potassium Sorbate will not be effective as the only preservative in most systems. For best results combine with other preservatives for bacterial control. Potassium Sorbate may have a minimal effect on bacteria, if the pH is low enough, but even as such it is not enough for cosmetics. 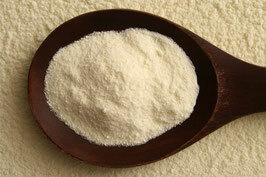 Silk Amino Acids - are hydrolyzed from pure silk fibers and are moisturizing to skin and hair. They are thought to help strengthen the appearance of skin and hair. Silk amino acids help fight dryness and moisture loss. It is a natural humectant, pulling water from the air throughout the day.. and it gives the skin a very soft, smooth velvety feel. Silk Amino Acids are an excellent choice for hair care or body care. It can be used in shampoo, conditioner, leave-in hair conditioner, styling products, bodywash, body lotion, facial cleansers, toners, facial moisturizer, makeup foundation, mascara, lipstick, or color cosmetics. Suggested usage rate: 1- 10% added at cool temperature. Thank you Randhi Mays for providing much of the above information! Used to help harden CP soaps as well as a gentle humectant in toners, lotions, shampoos and cleansers when used between 1 and 4 percent. Sodium Lactate can have exfoliating or irritating properties when used in concentrations higher than 5%. This is a fatty acid that is often used as a thickening agent for water-containing, lotions and creams. It can be added to soap for its firming properties, as well as a stability aide in emulsifying scrubs. Astringent, yet soothing to the skin. Non-nano with a 325 nm mesh size. Use in lip balms, lotions, masks, and an array of skincare products. It is occlusive and known for its protective properties. It is found in many commercial baby-bottom creams and sun protecting products*. *In the interest of safety, Soaper's Supplies does not endorse the formulation of sunscreen by anyone who does not have the required homogenizing equipment, as well as the proper experience, and education.